Richard Prigg, proprietor of Sycamore Stained Glass in Lansdowne, presented Arts and Crafts in Stained Glass at Thunderbird Lodge on Sunday November 11. Prigg is a graduate of the Pennsylvania Academy of Fine Arts and was the general manager of Willett Hauser Architectural glass. 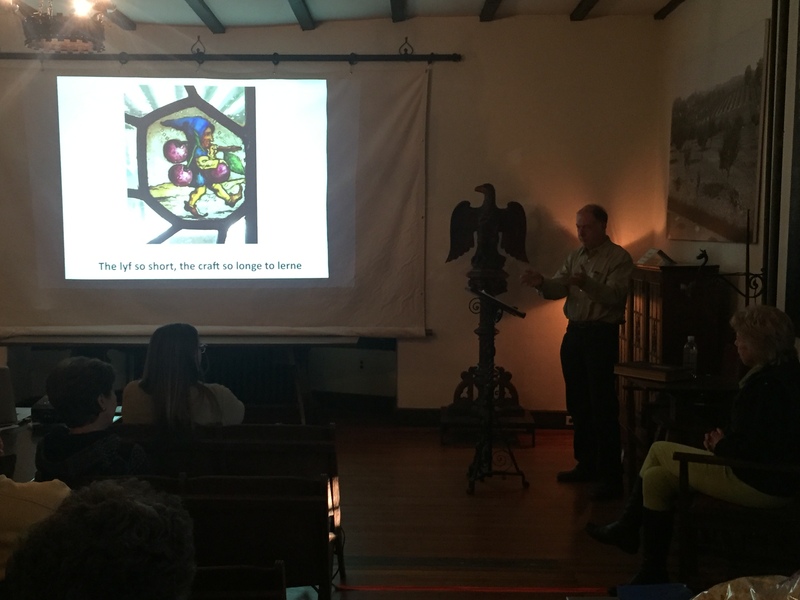 The audience who eschewed the Eagles game learned that traditional stained glass is clear and that opalescent stained glass made popular by Louis Comfort Tiffany in the late 19th century was considered by purists as a fad. Mr. Prigg also provided history on Nichola D’Ascenzio and his collaborative efforts with William and Walter Price. 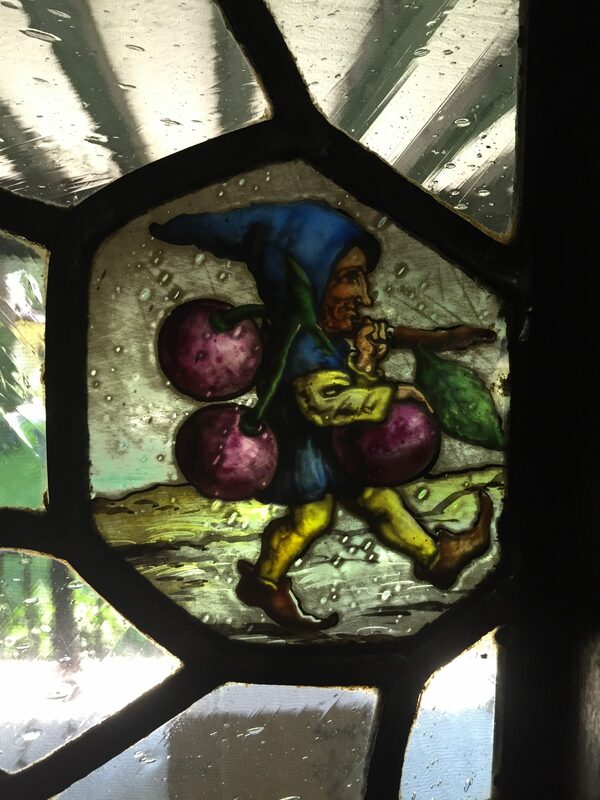 Photos of the stained glass in Rose Valley like the example below are included in the 2016 Rose Valley Museum and Historical Society calendar which can be still purchased for a reduced price of $10 plus shipped (if required) while supplies last. Contact info@rosevalleymuseum.org to order yours. 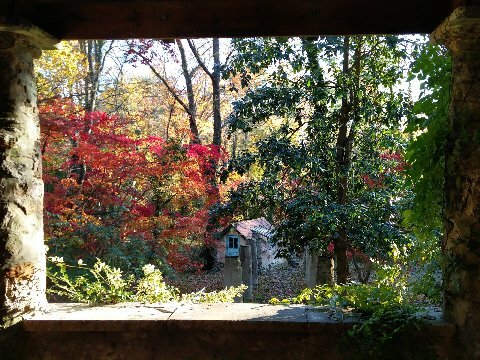 While Thunderbird Lodge has no stained glass, it rose to occasion for the event with a stunning display of color of its own framed by the pillars of the lower studio deck.